Lonavla is an extremely popular hill station in Maharastra. Approximately 64 Kms from Pune and 96 Kms from Mumbai, Lonavla and Khandala are the twin hill stations that are frequent weekend getaways for the people of these two cities. Located in the Sahyadri Ranges, Lonavla is bestowed with beautiful landscapes, picturesque waterfalls, vast expanse of meadows and floating clouds. With a cool and peaceful ambiance and serene atmosphere amidst nature’s lap, Lonovla is the perfect place to unwind and release for the overworked and stressful life of the city dwellers. The name of the city is derived from Sanskrit word, "Lonavli" which refers to a group of caves. Most of these caves show archeological evidences of being occupied by the Jain and Buddhist monks. Some of the popular caves are the Bhaja caves, Bedsa caves and Karla caves. Lonavla with a long and deep history was a part of the Yadav dynasty. Taken over by the Mughals, the place passed on into the hands of the Maratha and Peshwa empires. Several forts were built in the region during the Maratha rule. In 1871, the place was rediscovered by the then Governor of Bombay Presidency, Lord Elphinstone. It became a favourite hill resort of the British and subsequently even after Independence, it continues to be a favourite hill resort even now. 1. Karla Caves are the largest cave temples in India. 2. Rajmachi point - At Rajmachi point one gets a view of Shivaji’s Majestic Fort Rajmachi. 3. Lohagarh Fort - The iron fort of Shivaji that has withstood the test of time. 4. Bhairavnath Temple - Dedicated to Lord Shiv, this temple in Lonavla is always crowded as it is believed that praying here will satisfy one’s wish. 5. Tiger’s Leap - A look out point giving an extensive, scenic view of the place around. Things to do in Lonavala - Trekking, hiking, rock climbing, angling and paragliding are some adventure sports visitors indulge in while they are in Lonavla . Long walks and cycling are some rejuvenating activities for the not so adventurous visitors. A simple lazy stroll savouring the famous chikki, buta, vadapav or bhaji with Masala chai is another popular activity in Lonavla. The nearest airport is the Pune Airport located at a distance of 64Kms. from Lonavla. Lonavla is well connected by rail to almost all the places in Maharashtra. The network of roadways is well maintained and well connected to most towns in Maharashtra. The road journey from Mumbai to Lonavla is a roller coaster ride with unmatched scenic beauty all through the way. Moving inside Lonavla is not difficult at all. As Lonavla is one of the top tourist destinations close to Mumbai, there is a constant inflow of tourists. Taxis, autos, local buses are available in plenty. However, the best way to enjoy Lonavla is to hire a bicycle on rent and explore the place enjoying the cool mountain air. One will find a good mix of budget and luxury hotels here. A nice hotel will make your stay comfortable while will enable you to fully experience this beautiful hill station. Pick a hotel that fits your budget and preference. Most of these hotels get booked way in advance - particularly during peak travel seasons. Another reason to book early is because of the shortage of hotels in comparison to the number of tourists visiting the place. 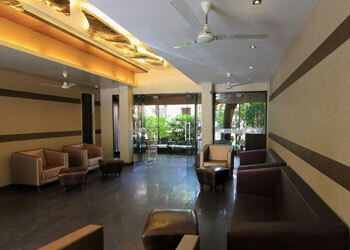 Hotel Chandralok is one of the fine Lovanavala hotels with rates starting from Rs. 2800.